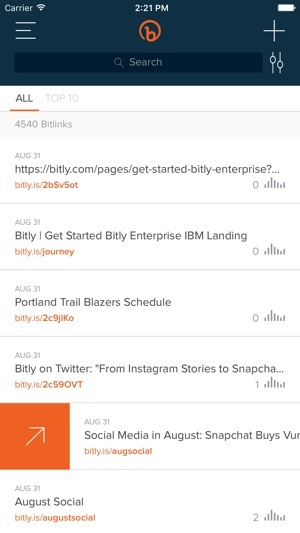 Bitly for iOS is fully integrated with Bitly’s desktop experience. 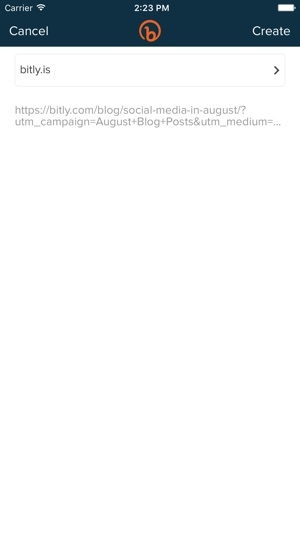 Copy, customize, and share your links straight from your phone and view top performing links on-the-go! Scrap long links! Shorten and brand your links to increase clicks while maintaining the tracking parameters you desire. Share your links and let us help with the rest. See channel data, uncover dark social metrics, and learn when and where your audience is most engaged - all in one simple dashboard. 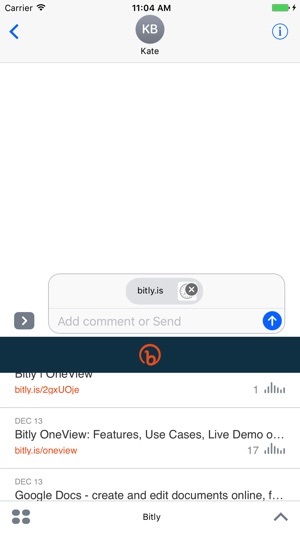 Connect your social networks for easy sharing through Bitly across social, SMS, display, social, and other channels. Collect insights on your performance and optimize your efforts to fit your audience needs. 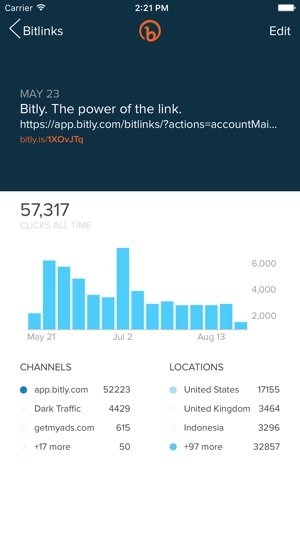 Bitly Enterprise users can also get more data out of their account by switching between groups and managing user permissions all from their phone. * iMessage Link Sharing - See and share your apps straight through your messages app. 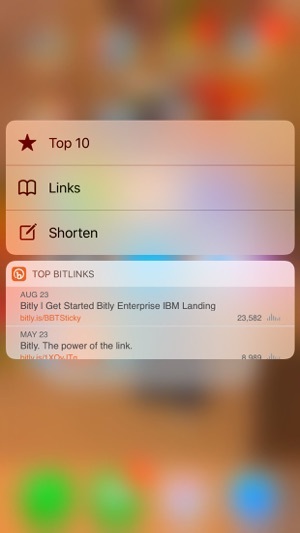 * Daily Widget - You don't have to open the app to know top performing links. Swipe right on your home screen to see your data. Make sure you have fully updated your version of iOS to access these features! - Improved performance and stability with bug and crash fixes. Ya no ofrece soporte para esta versión de iOS.